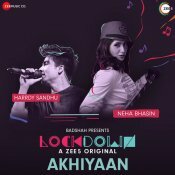 Zee Music Company in association with Zee5 Originals are proud to present the brand new rendition of Nusrat Fateh Ali Khan’s hit single “Akhiyaan” featuring Neha Bhasin & Harrdy Sandhu!! ARE YOU Nusrat Fateh Ali Khan? Contact us to get a featured artist profile page.